Today we’re talking about adjectives – words that describe something. Native English speakers don’t usually learn this at school, but there is a generally accepted order that you can use to work out the order in which your adjectives should go. Sometimes age and colour are the other way round – not all of the lists agree! 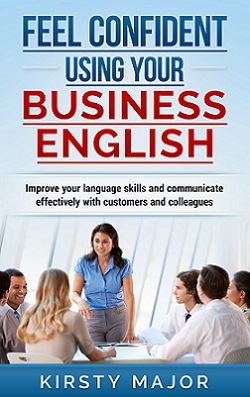 Don’t forget that you can request your copy of the free pdf “100 resources for improving your business English” by using the form below. You can find more information about the grammar course that I mentioned here. In this audio training, which takes approximately 30 minutes, I talk about some strategies for resolving complaints and responding positively to unhappy customers. This audio training (around 15 minutes) is about some of the unexpected things that can go wrong during a presentation, and what you can do about them.